THE LAW OF the literature of suffering is fairly basic: the greater the suffering, the better the literature. But equally important is that the suffering be warranted. The Nazis were savaged at Stalingrad, but tell it to the judge. The Russian nobility—or “former people” as they came to be called in the wake of the Bolshevik revolution—falls on ambiguous middle ground. Though the obliteration of an entire social class is shocking, it is hard to shake the feeling that they had it coming. Why should we extend our limited empathy to the small collective of families who owned practically all of Russia’s land, resided in exorbitant luxury, and were serviced round-the-clock by colonies of slaves? Douglas Smith makes it his mission to make us care. For the record, he is not just assuming our general disinterest—the glaring gap in the historical literature bespeaks neglect. It’s not often that such a void is found at the center of the well-trod annals of Red Square, and Smith is well aware of having struck historiographical gold. With urgency and precision, he chronicles the fate of the nobility from the dawn of the revolution. 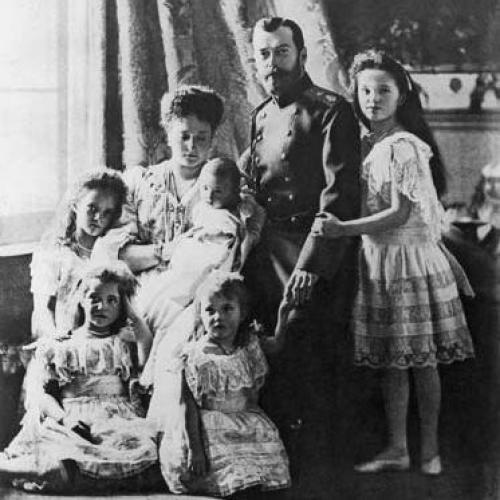 Using three generations of the aristocratic Sheremetev family of St. Petersburg and the Golitsyns of Moscow, Smith shows that the nobility in Russia was Russia; its downfall was “the end of a long and deservedly proud tradition that created much of what we still think of today as quintessentially Russian, from the grand palaces of St. Petersburg to the country estates surrounding Moscow, from the poetry of Pushkin to the novels of Tolstoy and the music of Rachmaninov.” Nabokov père strutted in “spats and a derby” to the train that took his family to short-lived safety in Crimea. Lenin’s father was a “Your Excellency” whose financial support allowed young Vladimir Ilyich Ulyanov to focus on his extracurricular interest in insurgence. The systematic extinction (though what an unsystematic system!) of the Russian elite was saturated in contradiction and irony, and Smith is light on his toes in exposing both. But he is always mindful of the gravity of his subject, and very persuasively makes the point that disinterest toward the destruction of the Russian elite is disinterest toward much of Russia. With each passing year, the predicament became worse, until it became impossible. In 1935, Operation Former People went into effect, finally getting rid of the last of these “human degenerates—the aristocrats of tsarist Russia,” as the Leningrad newspapers put it, who were “age-old exploiters and bloodsuckers” or better yet, simply “vermin.” The Metamorphosis had already been written, but Kafka had nothing on Stalin. The many characters of Former People are murdered by mobs, arrested repeatedly, tortured and starved, sent to the gulag, shot and shot and shot (how many times does that word appear in this book? )—unless, that is, they decide to leave Russia, in which case, they settle in coastal France or in Los Angeles, where they go into the movies. Alexander Golitzen, grandson of “the mayor,” became an art director and was nominated for fourteen Oscars. The vast wealth of the aristocracy meant that emigration was always an option. Even if their estates were looted or pillaged, one necklace, stitched into the lining of a child’s teddy bear, could fund life abroad. Early in 1932, “the mayor” died in Dmitrov, having been exiled from Moscow. Among his papers was a text written a month before his death, where he predicted that the collapse of the Soviet Union “will come about as a result of the power of inertia, and not under the blows of some external threat … it will fall all by itself, under its own weight.” Sixty years later, it did. Of course, the USSR’s dissolution did not bring a return to the glory days of Imperial Russia, yet at the end of Smith’s epilogue I could not help but feel a pang of yearning that such a restoration did not take place. Aristocratic rule may not be desirable, but if Nicholas II was a throwaway tsar, Putin threatens to become a dictator-for-life. In the process of sifting through the slews of personal letters, documents, and journals amassed by these sprawling interconnected aristocratic families, Smith was clearly won over by them. He is invested in their (former) cause, and narrates the events of their lives with passion. Passion is the key word. The characters of this book believed in Russia—as a motherland, as a concept, as a unique people unified by an inexplicable force that might be called fate—so passionately, so purely, so utterly and often so selflessly, and it is this passion that Smith has translated to the page. Former People is a thorough, extensively sourced history, and also something of a spiritual restitution. Though Smith’s subjects cannot be comforted, his readers might be: It is because of Russia's ineffably strange past that we should continue to believe in her future. Yelena Akhtiorskaya is a writer living in Manhattan.